I have loved this analogy for a long time... Bowling... The bowling lane is to scale. 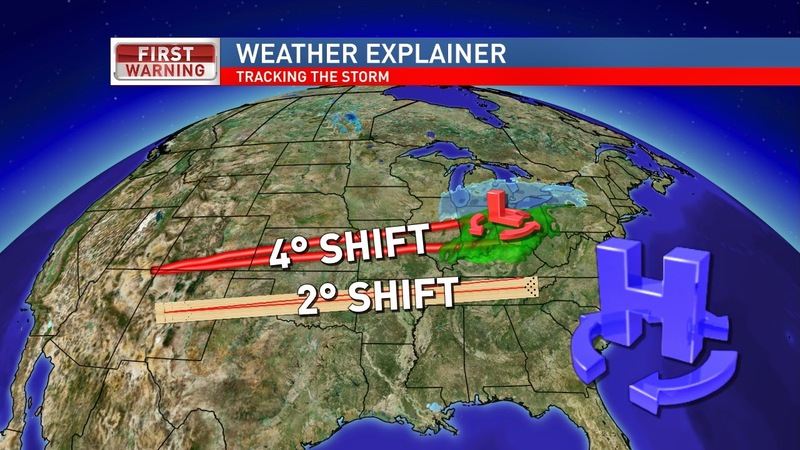 The storm late Thursday was expected to track along the Ohio River... The high pressure off the East Coast has been stubborn and stronger than the models expected, so it is forcing the Low to shift to the north... So it take less than 2° when bowling to hit the front pin, to going in the gutter... this storm has shifted about 4° to the north from the models late Thursday to today... so within the last 48 hours. So that means it is bringing the warmer air farther north which means Central and Southern Ohio will be seeing MUCH LESS snow and more rain. 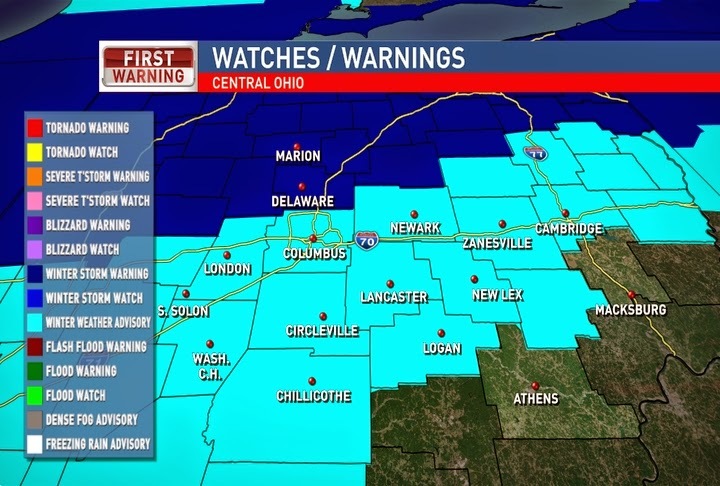 As of 5PM, here is the latest look at the advisories/warnings. Winter Storm Warning for Northern Ohio and Winter Weather Advisory for Central Ohio along the I-70 corridor until midday Monday. HERE is the link to the ABC6 weather site with the latest winter weather warnings. A wintry mix arrives for Central Ohio tonight. Warm air will work in Sunday and any snow accumulations for Central and Southern Ohio will be melted by rain showers. Rain showers will remain persistent through most of Central/Southern Ohio Sunday with the snow mainly staying in the Northern third of Ohio. The rain/snow line will stay from Bellefontaine to Marion to Mansfield most of Sunday with some freezing rain and sleet mixing in at times. Temperatures will sharply drop Sunday night so any remaining moisture will refreeze overnight with another quick round of snow. Accumulations of 4"-8+" for the Northern third of Ohio. Just north of the metro will pick up a few inches, but rain will melt that some during Sunday. Columbus Metro will see between ½" and 2" of snow before the rain moves in Sunday and melts the majority of that. Southern Ohio will see little to no snow. The lingering snow showers Sunday night & early Monday may bring another ½"-1", but the main concern will be the refreeze for Monday morning. Another round of light snow possible on Wednesday. This storm has been one squirrel of a storm... As much as you are annoyed by the changes in the track of the storm... I am right there with you. A lot still will depend on the temperatures tomorrow. If we stay a tad cooler(not looking very likely) then we COULD see the snow farther south... But most of the accumulating snow is looking to be for Northern Ohio with this one... If there are any more changes, I will be back on with an update. Have a good one! UPDATE ENTRY: "Final update for Sunday's snow... or lack-there-of for Central Ohio"